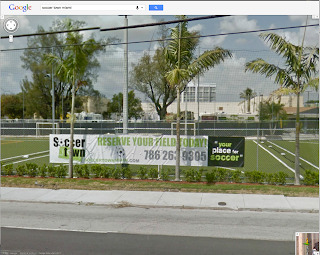 The “Blog” of “Unnecessary” Quotation Marks: "place for soccer"
I think this is the first time somebody sent me a screenshot from streetview. And I guess it's not really your place for soccer. Thanks Darrell.